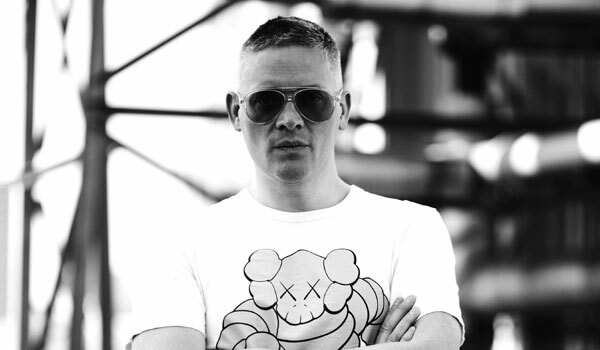 Having just shown his Autumn / Winter 2015 collection at the London fashion week earlier this year, renowned British designer Giles Deacon turns his attention on India with a collaboration with Indo-Brit retail website, Koovs.com. In keeping with his conspicuously unconventional sensibilities, the special line of garments and accessories promises high drama, whimsy and all things unusual and edgy. From designing Pacman- and Minion-based collections, to working with the likes of Angelina Jolie, Kate Moss and Victoria Beckham, Deacon has made quite a mark on the global fashion scene. We caught up with him and got chatting on his collaboration with Koovs, his studio, design principles and more. About eight months ago, we sat down with the KOOVS design team and discussed what the customer in India is looking for. It is similar to what we do for any collection. I did not want to replicate existing trends but do something special and make it stand out. The brand I design taps into the kind of aesthetic lots of Indians would like. Prints and embellishments for this collection. So therea��s that side of my design personality that has a theory of romanticism and that has the big, abstract feathers, which wea��ve done in really beautiful pearl gray. And then there is the crystal and polka print, which is like a large scale polka thata��s very graphic and the crystal with it looks like it actually has some embellishment on it in pearls. It is almost like wearing bling. To have that kind of decadent glamour was something I really wanted to get across. I am lucky to be involved in some really amazing projects, with amazing people and go to fun events. But the thing that gets you there and keeps you grounded is your work and what I really enjoy doing is just being in my studio, working. A day in your studio. A typical day starts at 9.30 am and we generally have a meeting, if Ia��ve been away travelling, to see where everybody is with their projects. We keep a very tight diary. Ita��s the only way you can get all of this work done. And then we work through what needs to be done that day. It can be anything from private client fittings to choosing some new fabrics and colour swatches, looking at embroideries and then maybe a bit of business work as well. They have all been really fun to work with. I mean Kate (Moss) has always been very special. She has got a really unique energy. They are all great, I have been very lucky to have known them for quite a long time now.